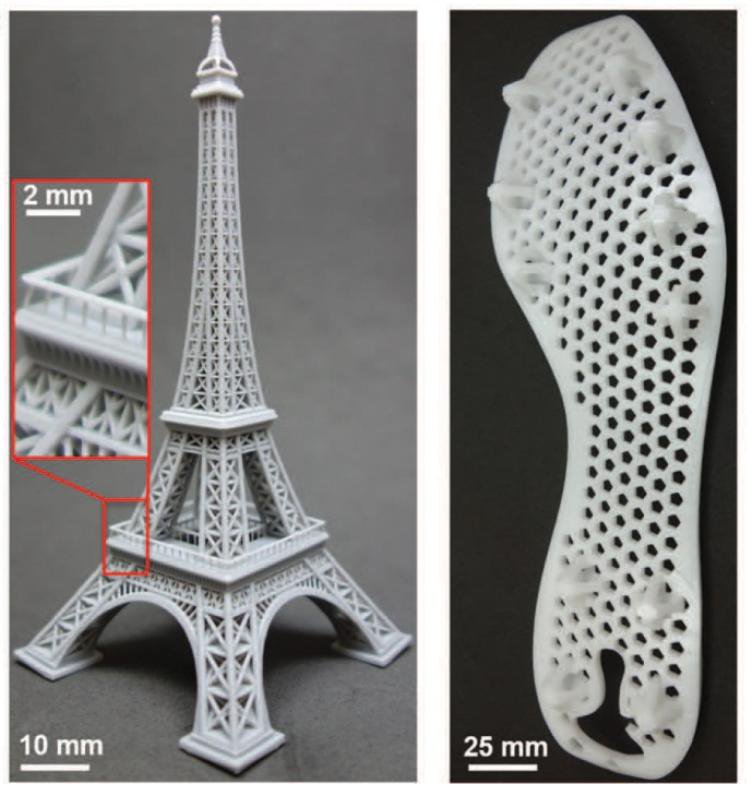 By harnessing the power of light and oxygen, Carbon3D has created a new 3D printing process that is between 25-100 times faster than traditional 3D printing. 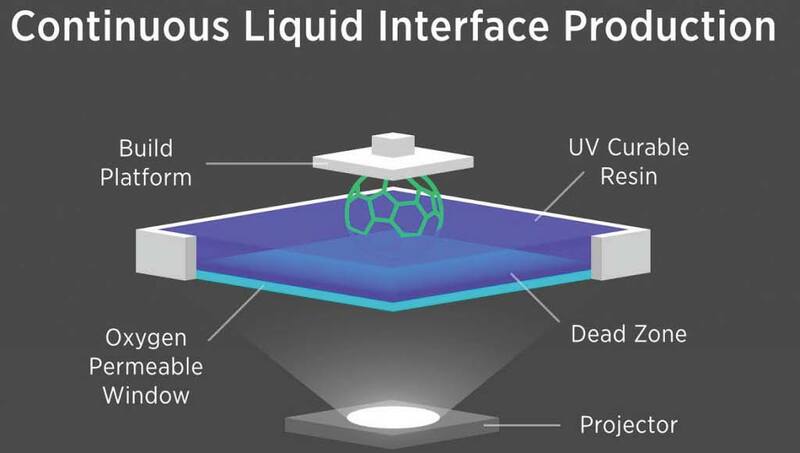 Unlike traditional 3D printers which print the object layer by layer, Carbon3d’s Continuous Liquid Interface Production technology (CLIP) allows for the printing of a true 3D object. Just like Michelangelo, who is famous for saying, “The best artist has that thought alone which is contained within the marble shell; the sculptor's hand can only break the spell to free the figures slumbering in the stone.” The CLIP technology works by harnessing the power of light and oxygen to cure a photosensitive resin. In other words, a projector beams the image to be printed into the pool of photosensitive resin. Then, oxygen is introduced in the unneeded areas. The oxygen creates dead zones which prevent the resin from curing in the unneeded areas and like Michelangelo; the build platform frees the printed object fully formed from the liquid. There has been a lot of development with regards to 3D Printers. This year alone we have seen the technology used to build anything from buildings to bionic arms. While some printers can create something as unique as a pizza, most printers create objects out of plastic. It is amazing what you can do with plastic. But, what if you want to print a pair of pants or need to replicate your child’s favorite stuffed animal? The answer may have just come from the Walt Disney Company and their fabric 3D printer. 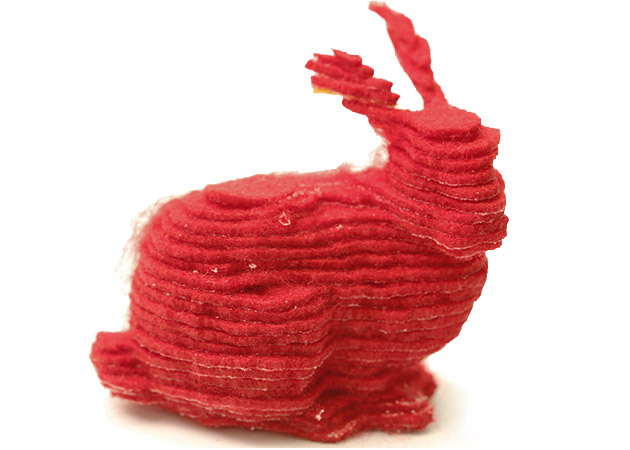 The little fabric rabbit created by the printer is a bit primitive, but I am sure as the technology is refined, you will be able to print your own unique version of your favorite character. UC Berkley brings a new definition to the term “custom home.” The Bloom Pavilion measures 9 feet high, 12 feet wide and 12 feet deep, and has a traditional Thai floral motif design. 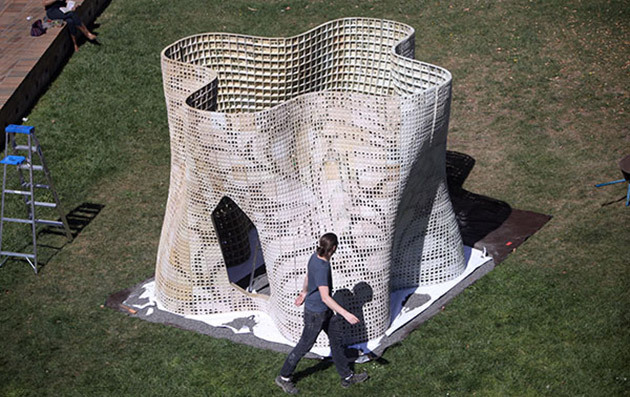 Unlike other 3D printed buildings which extruded wet cement through a nozzle, this new building was printed using dry powder cement. According to team leader Ronald Rael, they "are mixing polymers with cement and fibers to produce very strong, lightweight, high-resolution parts on readily available equipment; it's a very precise, yet frugal technique." 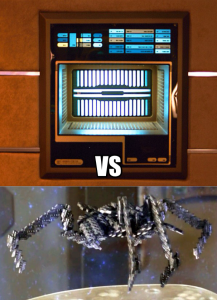 There sure has been a lot of rapid development with regards to the 3D printer. A Chinese company built 10 houses in less than 24 hours and in January finished a 5 story apartment block. How soon before we work or live in a 3D printed building? 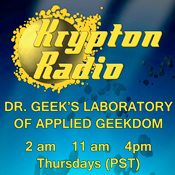 Just in time for the new Fall schedule, Doctor Geek’s Laboratory returns! 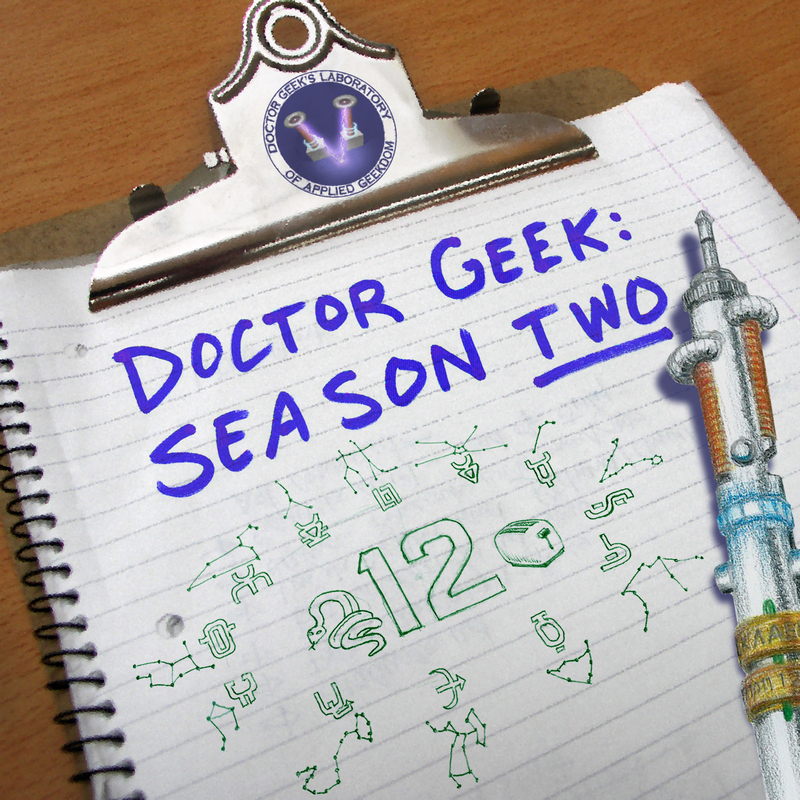 Our second season continues with the conclusion into the investigation into 3D Printers.